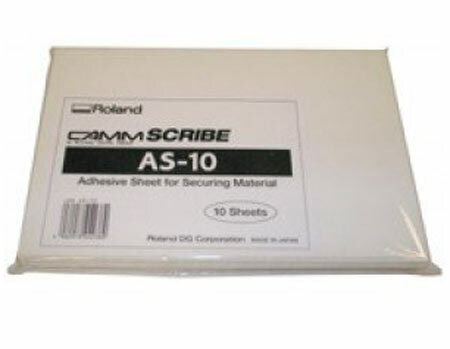 Roland AS-10 hold-down sheets are designed to adhere flat engraving material to the surface of any engraving machine. These sticky mats are similar to a sheet of double-sided tape. Can be reused. There are 10 adhesive sheets per package.